Natal plum is a spiny shrub of South African origin. 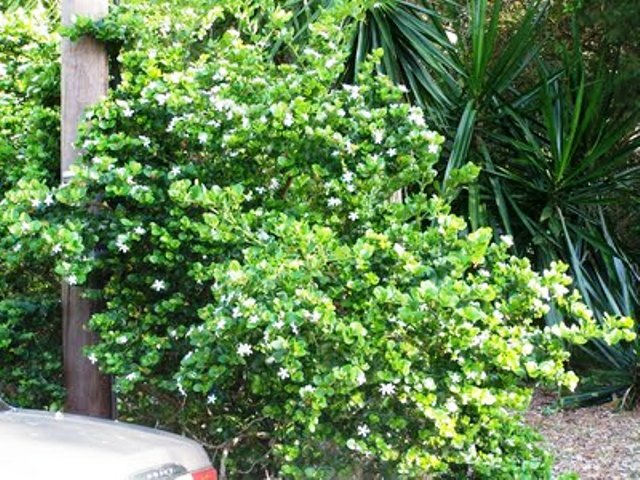 It is an evergreen shrub, with a loose mounding shape, 2 to 7 feet tall and having a spread of 7-10 feet, depending upon location. The stem is usually thorny with forked spines; leaves thick, oval, shiny and dark green and leathery; sap white. 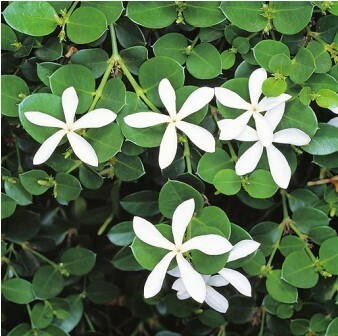 Flowers are solitary, white, star shaped, 1-2 inches wide and fragrant. The scent intensifies at night. The plant is multiplied by seed as well as cuttings. 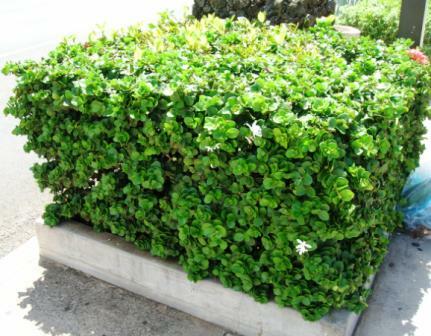 It is commonly planted as a hedge, barrier or low screen. It is rarely planted as an exclusive fruit tree, though the fruits are always harvested and used. 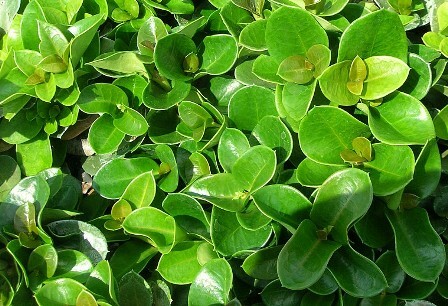 It is a very hardy plant and hardly requires irrigation. It can even tolerate some salinity in the soil. The plant also grows quickly. Fruits are attractive, egg shaped, 1.5 inch long and about 1 inch in diameter. These turn bright crimson with darker streaks at full maturity. Each fruit contains 10-12 small brown flat seeds. The unripe fruits exude white latex. The pulp is deep red or crimson with white mottling. The fruits are eaten out of hand. This fruit may be used canned or frozen; as jelly or preserves; in salads, sherbets, and sauces; or as a juice for punch. 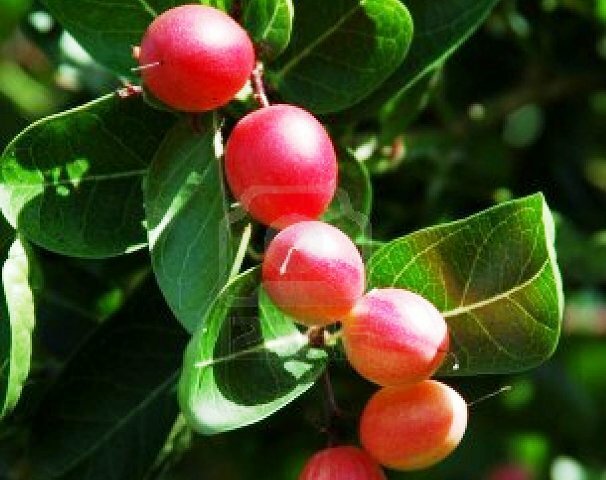 Natal plum has relatively large quantities of sugar and sufficient acid and pectin to make a good jelly. It is an excellent source of Vitamin C, containing somewhat more than the average orange. However, it is only a fair to poor source of all the other vitamins. The fresh fruit has a mild, slightly pungent flavor, is slightly granular in texture, and is somewhat astringent. When bruised, broken, or cut, the fruit and branches exude a white latex. This substance is harmless, except that it may be irritating if it comes in contact with the eye. The carissa may be eaten fresh but it is more enjoyable when cooked. The cooked juice and pulp have an unpleasant milky-red appearance but become an attractive bright red when cooked with sugar. The jelly has a lovely red color with a delicate, characteristic flavor suggestive of raspberry. The sauce, made by straining or sieving the stewed fruit and cooking it with sugar, is preferred by some to cranberry jelly. The white latex in the fruit forms a rubbery, sticky ring around the pan in which the carissa are cooked. To remove, rub with a piece of dry paper towel or with a coarse bit of cloth soaked with salad oil. Do not use steel wool or an abrasive powder as these make the sticky substance more difficult to remove.